This picture certainly brings back lots of memories: Sepang International Circuit, under the guidance on Datuk Ahmad Mustapha had open its doors drifting for the first time!!! This entry was posted in Drifting, Rambling and tagged drifting sepang, sepang track drifting, SIC drag battle on September 29, 2010 by skagee. Though delayed for almost 2 hours due to the weather, our inaugural Friday Bike Nite came to be a 18km 1 1/2 hours of fun. We will definitely be doing more in the near future!! This entry was posted in Life Style, Posting by Ariff on September 27, 2010 by skagee. Bowling nites are loads of fun and that’s exactly what we did last night in Pyramid..who else thinks that bowling is like a primitive form of Space Invaders? This entry was posted in Life Style, Posting by Ariff on September 19, 2010 by skagee. This entry was posted in Blast from the past, Posting by Ariff, Rambling and tagged drift skyline, hcr32, skyline gtst, skyline r32 drifting on September 8, 2010 by skagee. 2011 : New Drift Platform? 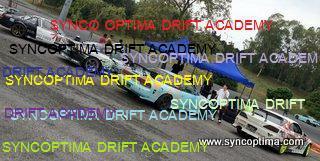 This entry was posted in Posting by Ariff, Rambling and tagged lancer drift on September 6, 2010 by skagee. To spice up the fasting month, a competition called ‘Ramadan Drift Challenge ‘ was held on the 21 August 2010 at the MAEPS Motosport Park. This entry was posted in Drifting, Goodyear, Posting by Ariff, Yon-A and tagged ae86 coupe, ae86 drift malaysia, ae86 turbo drift, drift mardi, goodyear ae86, MAEPS competition, ramadan drift challenge, sound off Mardi, v8 skyline on September 2, 2010 by skagee.